A diagcab file extension is used for Microsoft Windows Troubleshooting cab files. What is diagcab file? How to open diagcab files? The diagcab file extension is associated with the Microsoft Windows Troubleshooting service. Windows Troubleshooting service helps users to fix problems in Microsoft Windows. It also can connect to Microsoft servers and send information about problems to developers. The .diagcab files are used for diagnosing and fixing Windows problems. The Windows Troubleshooting service was introduced in Microsoft Windows Vista and it is a part of Windows 7, Windows 8, Windows 10, etc. The .diagcab files are created by makecab command line tool and can be viewed in Microsoft Support Diagnostic Tool (msdt.exe tool). Both tools are part of Microsoft Windows. Microsoft Support Diagnostic Tool is used to collect information about problems and system failures. It is able to send information to Microsoft Support. The tool can help Microsoft Support solve problems more efficiently than by diagnosing over the phone or by using e-mail. 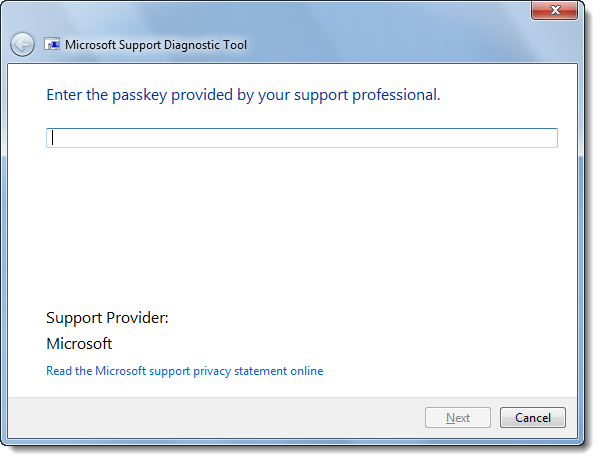 Use Microsoft Support Diagnostic Tool to open *.diagcab files. and possible program actions that can be done with the file: like open diagcab file, edit diagcab file, convert diagcab file, view diagcab file, play diagcab file etc. (if exist software for corresponding action in File-Extensions.org's database). Click on the tab below to simply browse between the application actions, to quickly get a list of recommended software, which is able to perform the specified software action, such as opening, editing or converting diagcab files. Programs supporting the exension diagcab on the main platforms Windows, Mac, Linux or mobile. Click on the link to get more information about Microsoft Support Diagnostic Tool for open diagcab file action. Programs supporting the exension diagcab on the main platforms Windows, Mac, Linux or mobile. Click on the link to get more information about Microsoft Support Diagnostic Tool for create diagcab file action. Click on the software link for more information about Microsoft Windows. Microsoft Windows uses diagcab file type for its internal purposes and/or also by different way than common edit or open file actions (eg. to install/execute/support an application itself, to store application or user data, configure program etc. ).